Built in America, engineered in the pursuit of gold. We’re going far beyond what was previously thought possible, while remaining true to our core values: innovation, authenticity and American spirit. The AP12 speed-suit defines the physics of fast. Lightweight, hydrophobic micro-filament textile provides a high level compressive fit with 360 degree core stabilization. 85% Nylon 15 % Lycra. 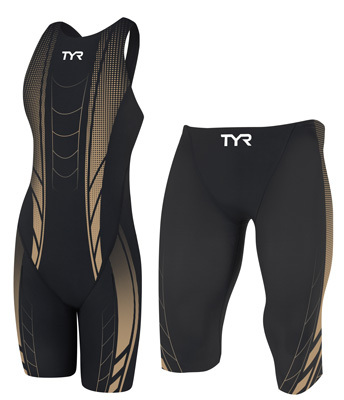 Specialized seams and sleek designs combine to optimize body position and reduce drag. Hydrodynamic three-panel design constructed to enhance compression and increase muscle fiber firing. Smooth, soft and stitch-free for comfort, stability and drag reduction. Range of Motion straps enable fluidity and explosiveness. The combination of bonded seams on the inside and four-way lock seams on the outside creates the lowest possible profile, reducing drag. The Summer 2014 Dolfin Uglies have arrived!